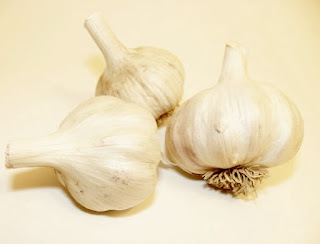 You might have noticed that in the last post I mentioned using garlic paste as an alternative to regular garlic. When you're cooking for one, the amount of seasoning you need in a recipe is often quite miniscule. Think of it -- if a recipe that normally serves 4 to 6 asks for one clove of garlic, you're going to be left using fractions of garlic cloves for all your own food. And unless you have garlic in every single meal you eat, it can take days or weeks to use up just that one clove you've cracked into! Because of this, I find garlic paste or garlic powder to be more convenient for cooking alone. I usually assume 1 garlic clove to be equal to 1 teaspoon garlic paste or powder.